Mobile Information Architecture and Interaction Design | Silence, on veille ! 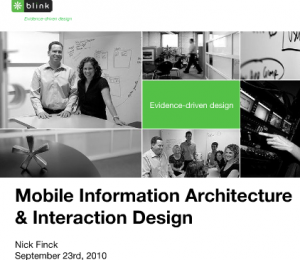 Mobile Information Architecture and Interaction Design – Silence, on veille ! Mobile Information Architecture and Interaction Design. View more webinars from Nick Finck.